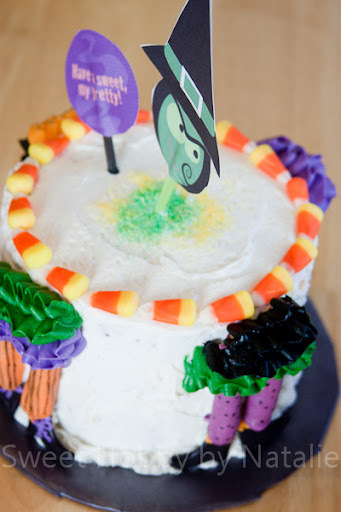 Saw this stinking cute cake over at mycakeschool.com and had to make it. I made three of them and the kids and I planned on taking them to people in the neighborhood to "boo" or "spook" them. I did mine a little bit differently. 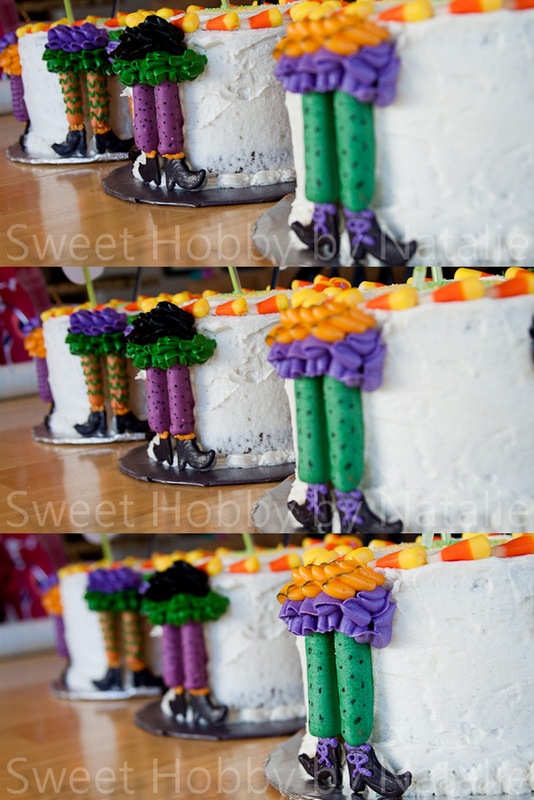 I used candy melts instead of fondant for the shoes. 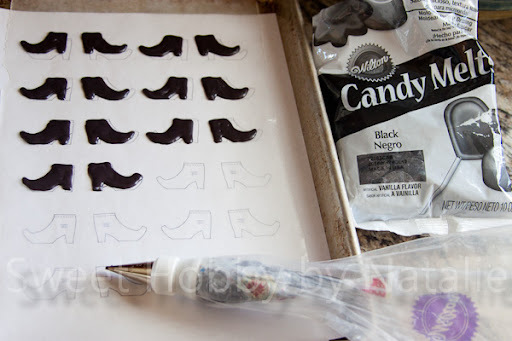 I just printed out a boot pattern placed wax paper over the paper, melted the black candy melts and piped them over the pattern. 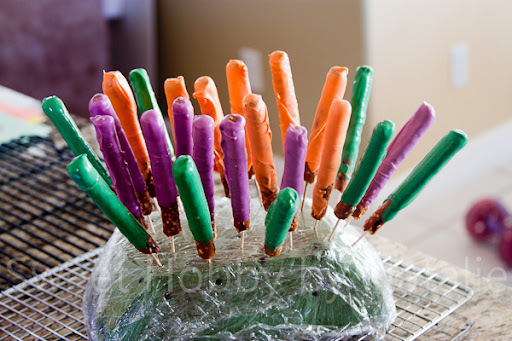 Candy melts are great because they set up pretty fast. I also used candy melts to dip my pretzel sticks to make the legs. 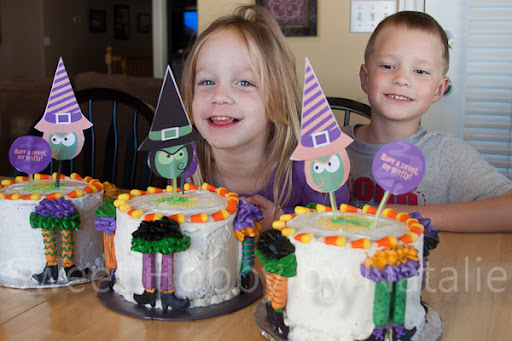 I made my cakes and decorated them all in one afternoon. So it was good that I used the candy melts, if I used royal icing as suggested on the cake school site I would have needed to let them dry over night. Then I found these cute Have a sweet my pretty! free printables here. The kids helped a little with the decorating and we delivered them out. We got caught at the first house but we had a good time. Hope you have a very Happy Halloween! !